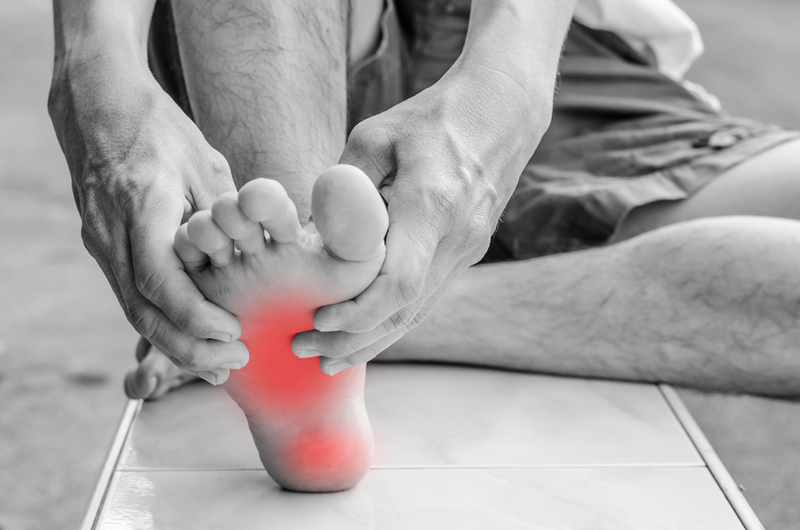 If leaping out of bed first thing in the morning has become the least favorite part of your daily routine, you may be one of the many people who suffer from a condition known as plantar fasciitis. This chronic connective tissue strain, which may stem from any of several causes, can make standing, walking and generally getting around a truly painful experience. But you don't have to drug yourself with painkillers or adopt a "grin and bear it" attitude -- because our Scottsdale chiropractor at Secrest Family Chiropractic, Dr. Daniel P. Secrest, DC, can isolate the cause of your condition and prescribe safe, natural plantar fasciitis care. Your feet are extraordinarily complex structures that make use of some 50 different connective tissues. One of these connective tissues, the plantar fascia, is critical for supporting the foot's arches, which in turn enable your feet to support your full weight easily. When the plantar fascia, which runs from the front half of the foot to the heel, is stressed beyond its natural capacity time and time again, the repeated damage never quite heals, leaving your feet in a constantly inflamed, painful condition. The stress may come from flat feet, high arches, joint alignment problems between the foot bones, or a spinal misalignment that throws your entire balance off-center. Excess weight, poor arch support from your shoes, and demanding athletic or work conditions may make things worse. One of the odd things about plantar fasciitis is that it may actually hurt more after you've given your feet an extended break, hence the extra discomfort on arising. As you walk, the fascia limbers up a bit, providing some temporary relief. Secrest Family Chiropractic can resolve your plantar fasciitis issues by treating their source, rather than simply muting your pain with drugs. Our chiropractor will evaluate your stance, gait, and spinal alignment to locate any problems that can be corrected with a chiropractic adjustment. At the same time, we can administer soft tissue treatments such as massage therapy, cold laser therapy, and acupressure to ease the pain, loosen tight tissue and get that inflammation under control the natural way. Once you're on the mend from your plantar fasciitis, our Scottsdale clinic can prescribe additional measures to help you keep your feet healthier and happier for life. These may include ergonomic changes in your workplace, changes to your daily routine, weight loss to reduce stress on the arches, and more arch-friendly footwear choices (including orthotic insoles if need be). Don't let plantar fasciitis run your life. If you're tired of limping or hobbling your way through your everyday tasks, make a big change for better, starting today. Call Secrest Family Chiropractic at (480) 994-4411 to schedule an evaluation and treatment at our clinic. We can help you kick your plantar fasciitis to the curb!